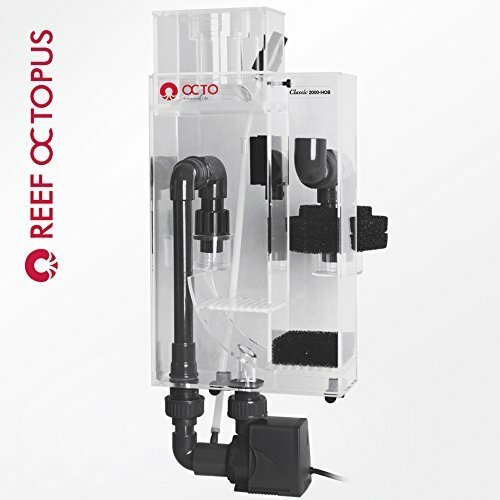 The Reef Octopus Classic 2000-HOB is a unique design hang-on-back protein skimmer for marine aquariums that has the pump mounted outside the aquarium and external to the the skimmer body allowing for much less room needed behind the aquarium. Also, by placing the pump outside the skimmer and the aquarium there is no heat exchanged to the water. The Classic 200-HOB is hand crafted from high quality acrylic and designed to allow for easy removal of the Aquatrance 2000s skimmer pump for cleaning and maintenance.